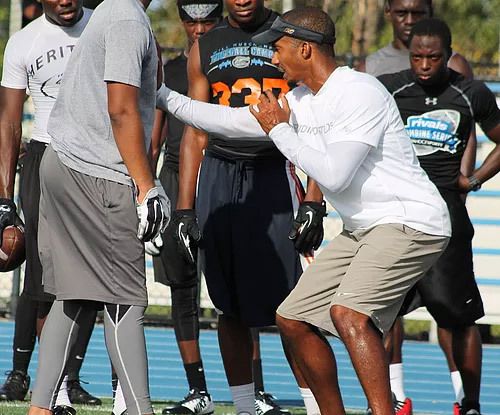 All Eyes DB Camp is a weekly defensive back training camp run by fomer University of Miami Hurricane cornerback Chad Wilson. Wilson teaches the lessons he has learned from years of playing and coaching defensive back at the youth, high school and college level. Wilson's two sons are both successful defensive backs. Quincy Wilson is a standout cornerback for the Indianapolis Colts and Marco Wilson was an all SEC Freshman cornerback for the Florida Gators. 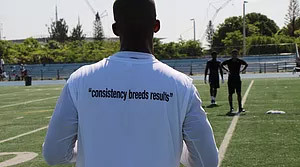 In addition, Wilson has coached and trained several successful defensive backs currently playing in the NFL, college football and high school. The camp focuses on the things that matter at the position of defensive back. This will include RELEVANT footwork, eye control, body positioning, mechanics and football intelligence. 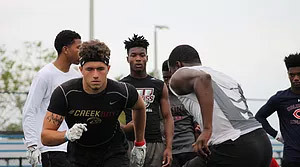 It's all designed to make you a playmaker on the field for your team. For more information and current updates on All Eyes DB Camp visit their Instagram Page - Click Here.